State Library Victoria – How many games did you play again? How many games did you play again? I’m very pleased to welcome our September guest blogger and fellow librarian, David Flegg. David is an ex AFL umpire and one of the Library’s resident sporting gurus. Welcome David! For many years the statistical and historical publication of VFL records was limited to results, goal kickers, premiership sides and the like, often published irregularly or as part of a more general work. The last twenty years has seen an explosion of print and electronic publishing backed by detailed research into the history of the game. It is a boon for genealogists. Easily finding whether a person has played in a VFL/AFL match began with the publication of The encyclopaedia of AFL footballers by Jim Main and Russell Holmesby. Now in its 10th edition the data is also available on-line in the ‘Players’ section of the Australian Football web site and often includes more biographical detail than the encyclopaedia entry. The site also allows for contributions from members and membership is free. Australian Football also provides a link to individual player statistics. Much of that data is drawn from the excellent web site AFL tables which is worth a look for other club and historical data that may put a relative’s playing experience in perspective. Media interest in VFL football was always high and regularly made the daily newspapers. The now well-known Trove newspaper database provides access to a large range of digitised Victorian newspapers which are invaluable in tracking a players success and play both on and off the field. Searching by name or scanning for the details of a specific match is now simple. 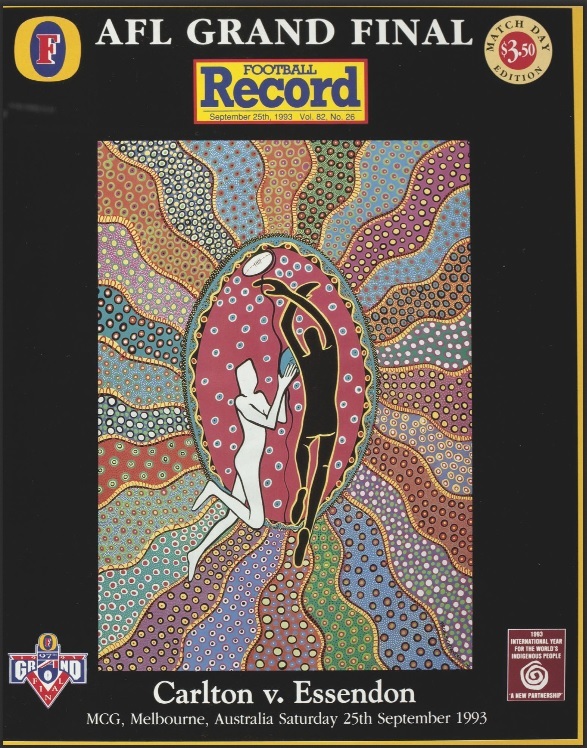 In partnership with the AFL, the State Library of Victoria has digitised an edition of the league’s official organ the AFL record from every round since its inception as the Football record in 1912. Fully keyword searchable and freely downloadable it is a wealth of information about players, clubs and the competition. For levels below the AFL clubs are the best source of information. 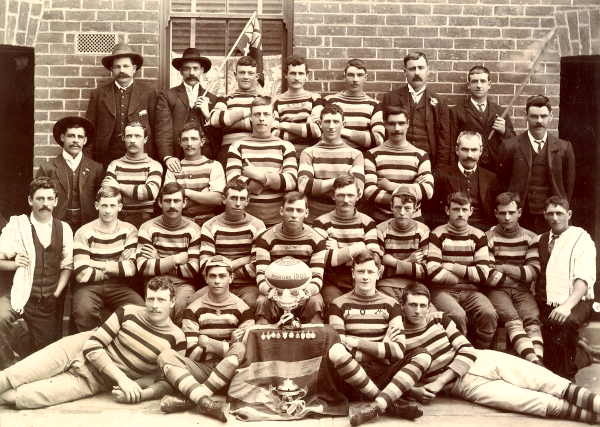 Many suburban and country football clubs and leagues have formed and disbanded over the years. Records were often lost in this process. Clubs as continuing entities are more likely to maintain records either officially or through enthusiastic club supporters. Modern self-publishing has led to a large increase in the number of football club and league histories available to the family researcher. Many are held by the State Library. Tracing footballing relatives can be interesting and provide an insight into a part of a person’s story that, in many cases, remains a proud achievement for their entire life.